A former employee is suing Steak N Shake in Kissimmee over alleged unpaid overtime wages and other reported violations of the Fair Labor Standards Act. Katherine Arteaga reportedly worked more than 40 hours per week without minimum wage or overtime compensation at the restaurant, according to the suit. This overtime lawsuit is a perfect example of common restaurant labor violations that workers need to be on the lookout for. This isn’t the first time alleged labor violations have rocked Kissimmee’s service industry this year. In September, 800 victims of wage theft were awarded $133,000 in back wage after the Department of Labor discovered a Kissimmee staffing agency violated laws under the FLSA. Despite businesses being caught time and time again denying rightful pay to their employees, wage theft still happens in Kissimmee. So, what type of common labor violations should service industry employees look out for? An established minimum wage for all workers is a hallmark of the FLSA. The federal minimum wage is set at $7.25 per hour and in Florida, the minimum wage is set at $8.05 per hour as of 2016. Tipped employees have a different minimum wage rate as a result of employer tip credits. In Florida, employees who receive tips must be paid at least $5.03 per hour. However, some more unscrupulous employers will pay an employee under the table and below the minimum wage in an attempt to circumvent the FLSA and cut costs. Under the FLSA, a valid tip pool involves only employees who customarily receive at least $30 per month in tips, such as waiters and bellhops. 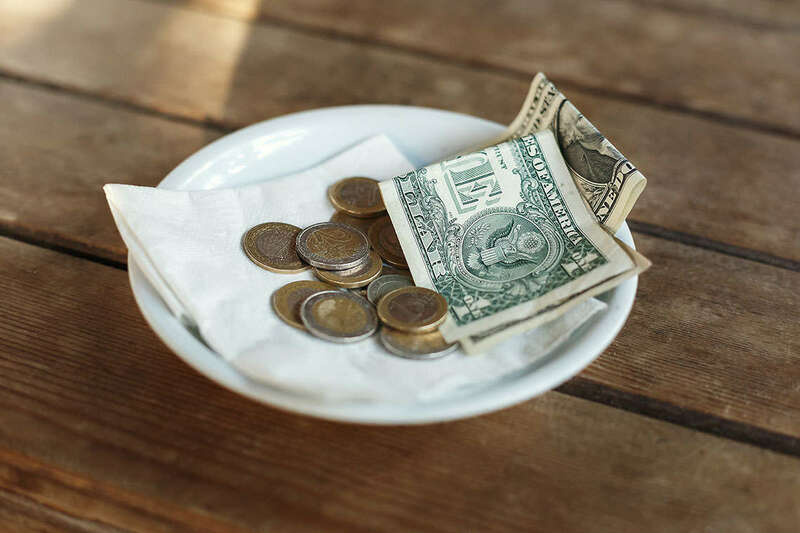 It is illegal to require tipped employees to share their tips with non-tipped employees, such as dishwashers, cooks, and chefs. It is also illegal for management or supervisors to take a share of tips or participate in a tip pool. One of the most rampant forms of wage theft across many industries is the denial of overtime pay. Under the FLSA, all non-exempt employees must be paid an overtime rate of time and a half for all hours worked over 40 per week. The FLSA generally defines exempt employees as those who make at least $23,600 per year on a salary basis and pass a job duties test. Executives, computer workers, creative professionals, and other employees who require advanced academic knowledge are largely exempt from overtime. Restaurant workers generally do not pass this job duties test, and therefore must be paid overtime wages for all time worked over 40 hours per week. Some employers may ask their employees to clock out early or clock in late in order to avoid their employee recording over 40 hours per week, thus requiring the employer to pay overtime wages. This is illegal, and employees must be paid for all time working, even for side tasks like cleaning up the restaurant before closing. This type of labor violation made national headlines this year. Fast food giant Chipotle is being sued by 10,000 workers for alleged wage theft after reportedly requiring workers to clock out promptly at midnight, but continue working off-the-clock unpaid after their shift. Some restaurants will hold their staff accountable for customer walkouts and dock the cost of these unpaid bills from their pay. However, it is illegal for employers to make these illegal deductions if it brings an employee’s hourly compensation below the minimum wage requirement. Other common illegal deductions that employees should be aware of include docking pay for broken glasses and dishes or cash register shortages. Too often, wage theft and other labor violations are rampant in the service industry because workers aren’t aware of the law, or fear losing their job if they speak out against these injustices. But it doesn’t need to be this way. It is illegal for employers to retaliate against workers who report wage theft to the DOL, so you can file a complaint without worry. However, if your job does fire or punish you for filing a complaint to the DOL, or refuses to pay you what you are rightfully owed after you have reported wage theft, it may be time to consult an attorney. Read more to learn how our overtime attorneys will fight on your behalf to try and get you the lost wages you have rightfully earned. If you are ready to pursue a claim, fill out our free, no-risk case evaluation form today.